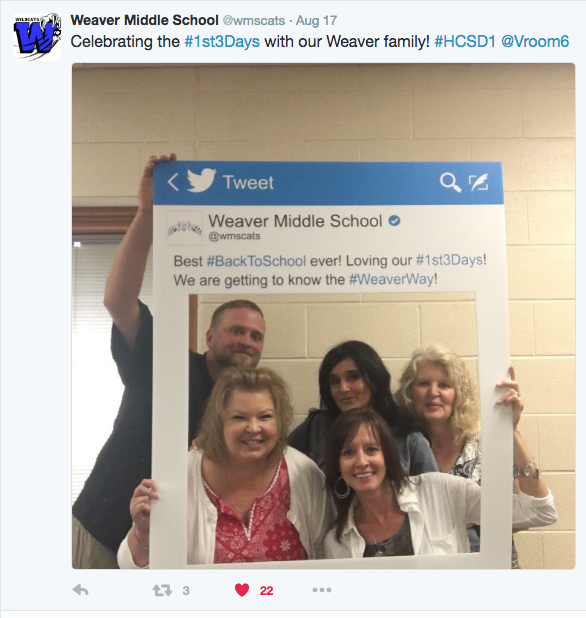 The first days of school are closing in and it is time to welcome back your school staff, district administration and your school community. You are about to begin another year in their journey of teaching, leading and learning. Without question, it is the most exciting time of year! As we begin our year as administrators (I am the principal at Weaver Middle School in the Hilliard City School Distict in Hilliard, OH) we are fully aware of the many hats that we wear. Pulled in various directions at any given time, our positions are not for the faint of heart. Like your staff, we too are fortunate to shape the minds of others. Our leadership is essential to those that work with us and for us. They look to us for direction, support and encouragement each and every day. We have a role and responsibility like no other. As you begin your year as a school administrator, regardless of what position that might specifically be, I would encourage you to consider the following essentials for a successful year. 1. Putting Relationships First. Recently I wrote A Back-to-School Checklist for Educators in which I emphasized that the relationships you create, foster and maintain with others will be the backbone to your success. As administrators this is the same. If you stay true to getting to know your teachers, your Central Office team and all of those that look to you for your leadership, the results of your organization will be limitless. Likewise, if you do not invest in those you turn to for their expertise in the classrooms and the buildings then do not be surprised when the climate of your building turns cold and the culture takes a dive toward dismal. 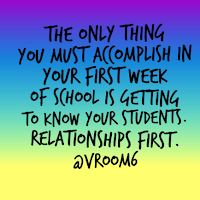 Relationships with all stakeholders should be priority one as you begin the year. 2. Providing Ongoing Feedback. 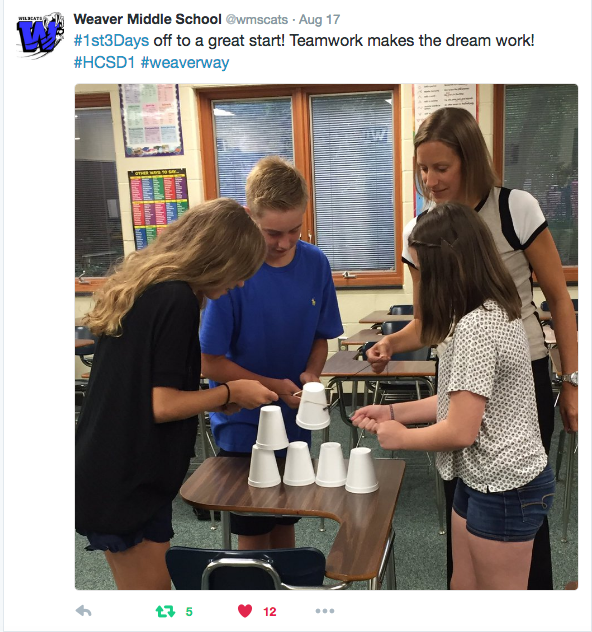 We ask teachers to provide feedback to students and students use feedback to grow as learners. As administrators we ask for feedback for the evaluation process. With that in mind, do not wait for an evaluation or a scheduled moment to provide feedback to your teachers and your colleagues. Having worked under a variety of superintendents, the one I have the most respect for is the one who provided me constructive feedback within my role within the moment. Whether you realize it or not, teachers and administrators crave feedback to their work. That is what drives us to be better. 3. The Art of Listening. My teachers often remind me when to "turn it off". I am fortunate to have a rapport with my staff that they are open enough to tell me when enough is enough. Taking the time to listen to your teachers and your staff is essential. Whether a scheduled conversation or just a moment in time passing through the halls, listening to the good and the bad of your organization is essential. Soak in their ideas, opinions, feelings, emotions and experiences and know that the art of listening goes a long way in building a successful school climate and a community of learners. 4. Having Accountability. 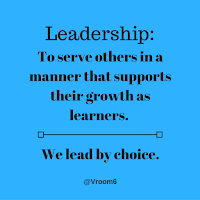 If there is one area in administration that I believe takes more effort than any others aspect of leadership, it is the practice of holding ourselves and our leaders accountable. It is not an easy aspect of our jobs. However, we know what is best for kids and we know best practice. And, we know what sound instructional experiences should look like. With that being said, if you observe something occurring in a classroom or a building that is not aligned with your districts vision, mission and goals then use your leadership skills to address it. We are the administrator. We hold others accountable just as we hold ourselves to that same standard and expectation. Be supportive but be direct. 5. Serving Our Community. The word leadership means one thing above all other to me. 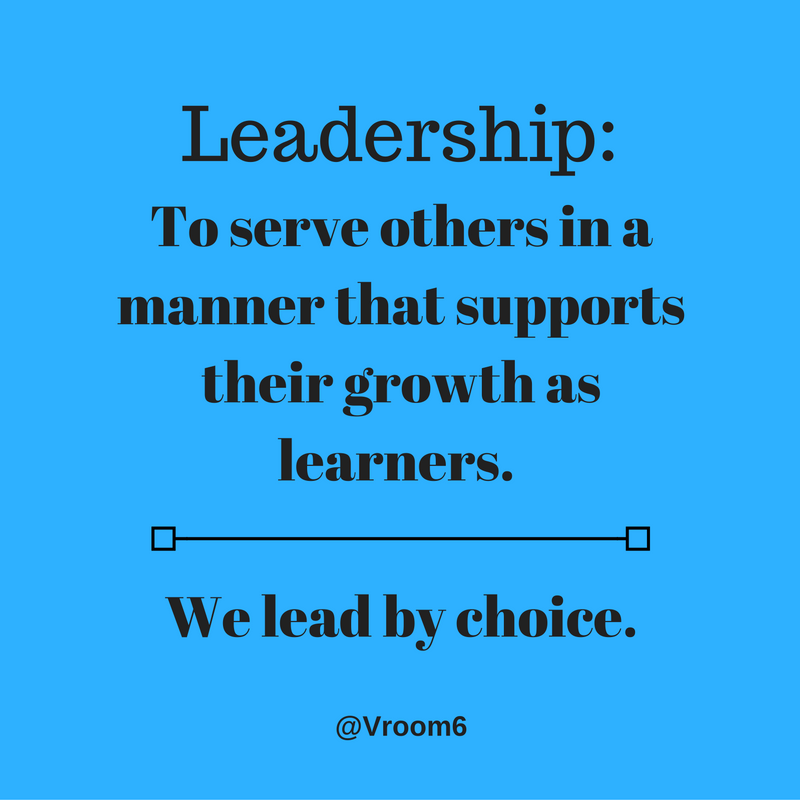 My role as a leader is to serve. Serve my teachers, my colleagues, our students, their parents and the community in which we live and attend our schools. It is a role that should not be taken lightly. Serving others is the foundation of what we do. How we act and how we model our work in education is essential to our growth and our success. 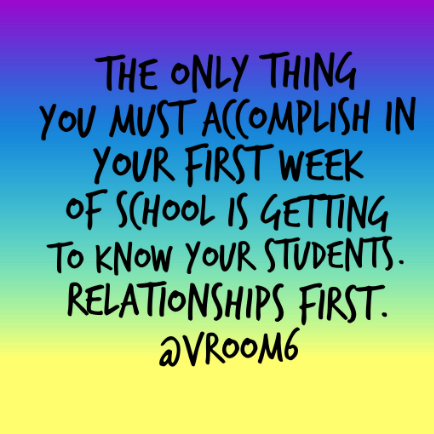 As you begin your school year make sure that you are committed to this essential component of your position. To lead is to serve. Do so with humility and with pride. 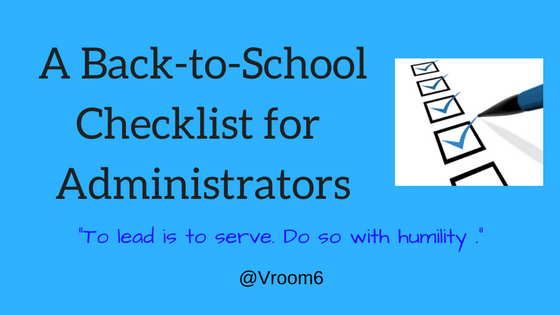 As I shared in my last post, think about all of your back-to-school items on your checklist and remember the amazing responsibility we have as educators. There is so much that will be accomplished as long as we are intentional and purposeful in how we return. 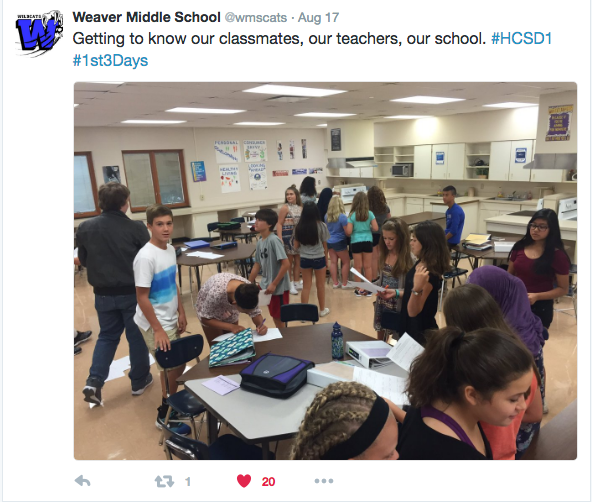 And, if you are dreading your return to school, then please weigh your options and consider not coming back at all. 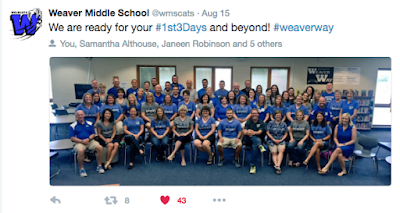 We need administrators that are overflowing with anticipation and excitement to welcome a new school year. Be ready to make a difference in the life of a child and an educator and your community.